Church Catering is a catering company servicing the Orange County and Los Angeles church communities. As their name suggests, it specializes in catering special events held at churches. However, they also cater in the desired venue of the customer. Through years of experience, it has mastered the art of catering. The company offers their expertise in cookery and food service. This catering company’s chefs specialize in French, Italian, Asian and American fusion cuisine. The catering company offers sit-down banquets with predetermined menu choices or buffet. Upon request of the client, the company also accommodates menu customization. Past clients have noted that their set menus are of great quality and priced at a reasonable rate. Aside from that, many have commended the professional and friendly staff of this catering company. One of the biggest pros in getting them as the catering company of your special event is that they can recommend churches and other places to become your venue. The website of the catering company has a list of suggested venues for your special occasion. Moreover, a lot of people, especially those planning to tie the knot, chose Church Catering because they hold Food Tasting sessions which usually include free wedding consultations. As aforementioned, clients have the option between having a buffet set-up or sit-down banquet during their event. Clients may also choose from a predetermined menu or they may also opt to customize their menu. The predetermined menu sets will be discussed below. Aside from the menu sets, this catering company also has a Dosirak option. A Dosirak is a Korean packed lunchbox. It is similar to the Japanese Bento Box and Indian Tiffin. Clients may choose from three Dosiraks – Style A, Style B and Style C.
calling the following numbers: 310-920-6805 or 800-530-5660.
sending a message at info@churchcatering.com. visiting the company’s website and sending them a message via their contact form. Most clients choose between the four predetermined menus. 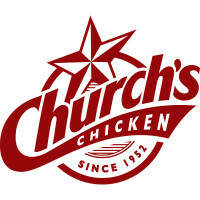 They are namely Church Set A, Church Set B, Church Set C and Church Set D.
In Church Set A, clients may choose from 82 types of dishes. This set is made for clients with 15 to 100 guests. The clients may choose the number of dishes or items they want to have at their party. They may choose from eight (8) dishes or items for 15 people up to 15 dishes or items for 200 people. Church Set B, on the other hand, has 25 items of which the clients may choose from. For clients with 100 to 200 guests, they can pick 12 items from the list. Meanwhile, those clients with 50 to 90 guests may choose 10 items from the list. Church Set C is for clients who have 50 or more people on their guest list. This set menu has five courses. Clients may choose to have five to 11 items from the given list. Lastly, Church Set D is for those individuals who have 20 or more guests. This set menu has 250 items. Guests love this set because of the fusion food included. Customers have a wide array of choices from Asian Cuisine to American Cuisine to fusion food.